Groundbreaking, complex, apocalyptic and obscure is words that have been used to describe the sound and style of this French band called ERYN NON DAE. They are certainly obscure and complex but this album called ‘Hydra Lernaïa’ is sadly way too monotonous for my taste. Their music is an ever-changing mix of several styles and moods... we’ll get everything from metal-core to obscure grind-core, to apocalyptic aggression and industrial sounds. Sounds confusing? Well... this release is a bit confusing or chaotic if you like, and nothing really sticks out. The vocals are also very monotonous... I don’t understand a single word... it’s just “screams” to me. 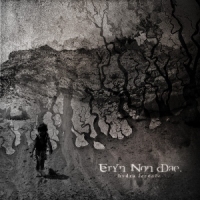 ERYN NON DAE reminds me a bit of the Polish grind-core band ANTIGAMA at times, but without reaching the same level as the Polish band. Too obscure for me... sorry.